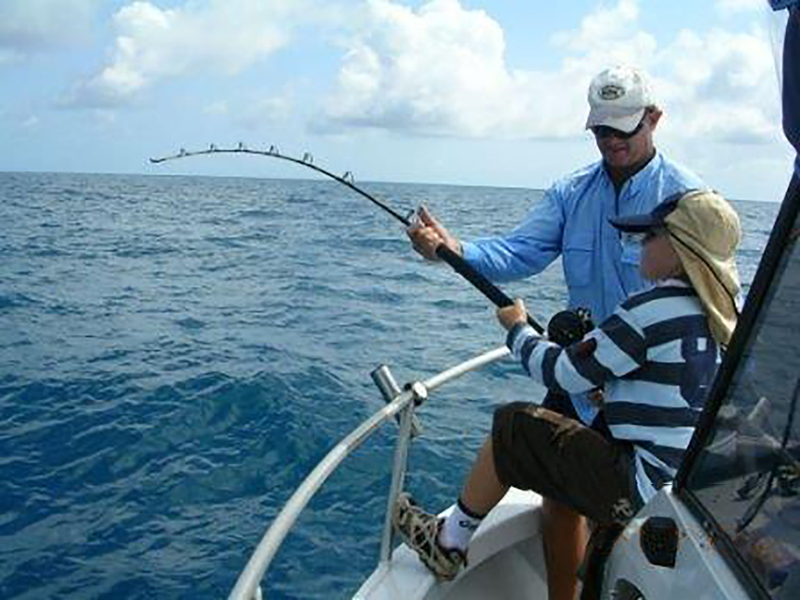 One of the advantages of fishing the islands is the short trip to the fishing hotspots. anti fungal and parasites. It does not take long at all before you are baiting up hooks and starting to fish. Whilst the reef has incredible numbers and variety of fish, a great many species can be caught close to some of the islands, and some large specimens can be caught. 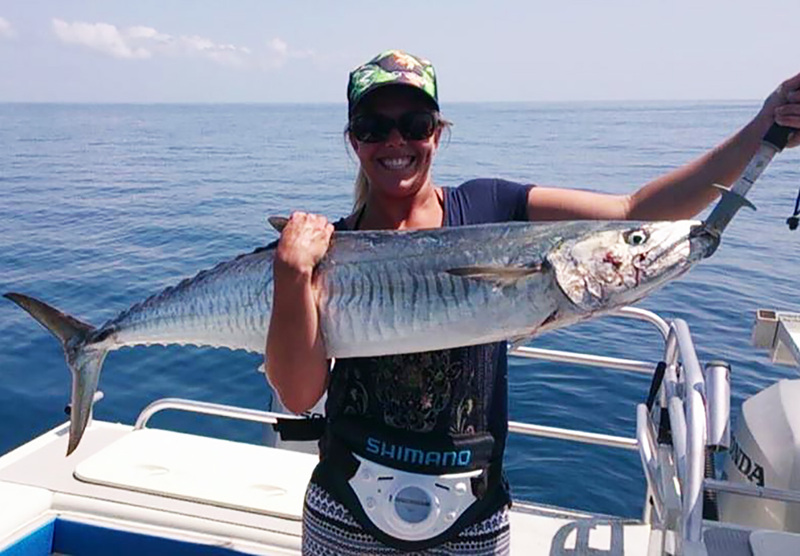 We’ve had clients catch anything from Spanish Mackerel to large GT’s around the islands. 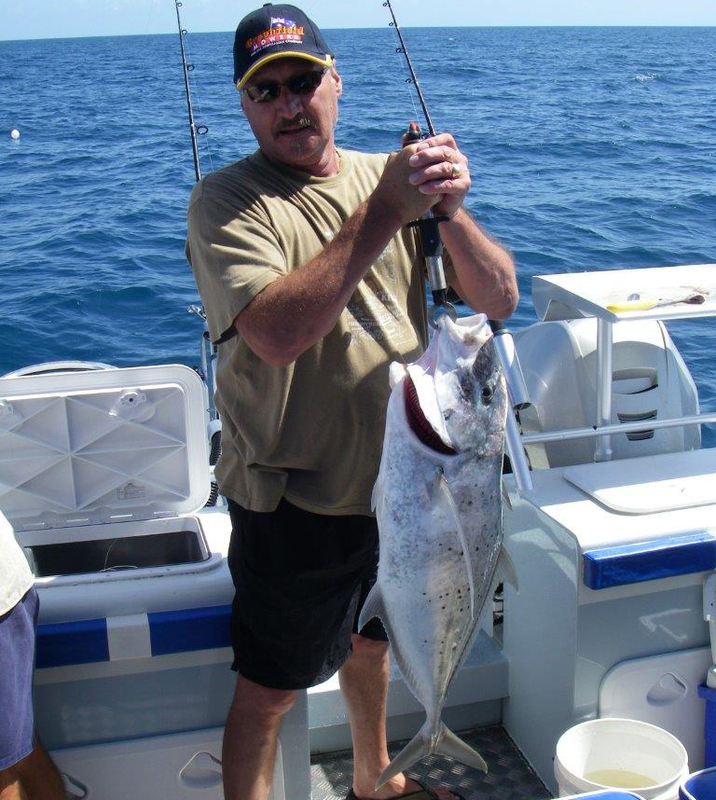 If you are after a shorter trip, or if the weather is a bit touch and go, the island fishing trip can be a good choice. Please check the calendar. You will see dates which appear a darker grey have bookings, or indicate days we are not available. With the bookings, if you click on the date it will say what kind of trip has been booked, and if you select "more details" it will let you know if there are any spots still available. Don't forget to hit the back button after you have been to "more details" to get back to this site. Jump to our booking/enquiry page. We will get back to you as quickly as possible.